In this roundup, we’re sharing some beautiful mobile app designs that offer an excellent user experience. Which is your favorite mobile app by design and usability? Leave your feedback in the comments. Clarity is one of the essential elements of a good UI design. It should not confuse your users nor give them a hard time figuring out how to use your interface. 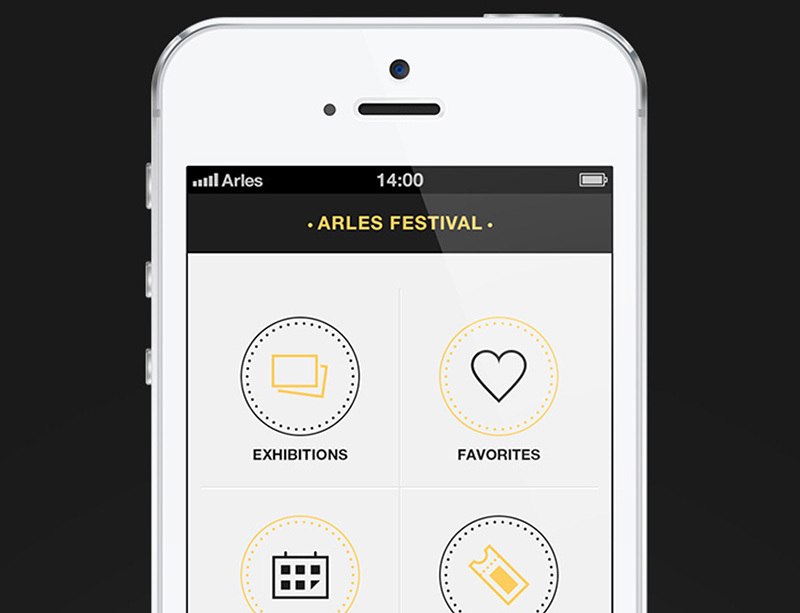 And you can find that in this app designed especially for the Arles Festival, which has around a hundred thousand recorded visitors annually since its inception. Angelique Calmon and Juliette Lima collaborated to create this mobile app design with a simple and straightforward interface which leads you only to the most important information about the festival. Clicking each category leads you to more information. However, it does not give too much, just enough overview to let users know what they are. Even the information for each artist and exhibit doesn’t overload on they whys and whats, just a few sentences to help your users decide whether they want to see it or not. This mobile design version for an existing website is designed by a group of designers from the Ukraine. 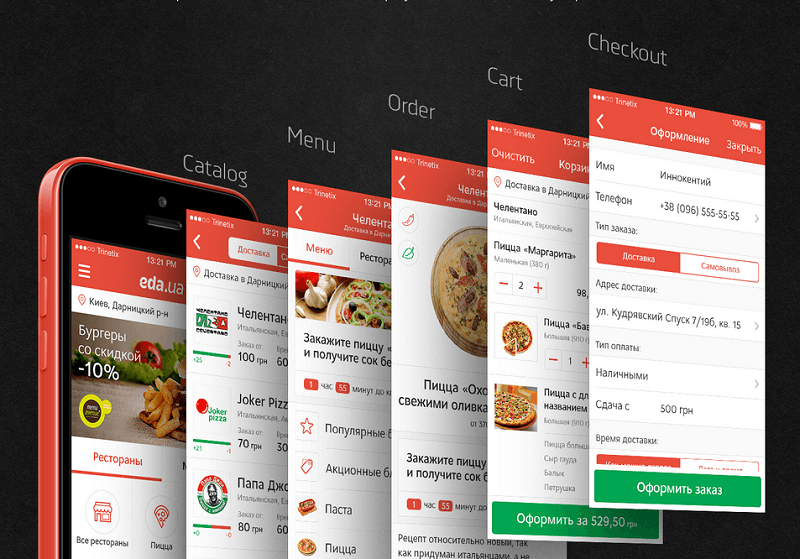 The app has both an iOS and Android version with a very friendly UI designed especially for the food delivery business. In order to meet usability standards, the designers conducted intensive market research and took note of various offbeat ideas. 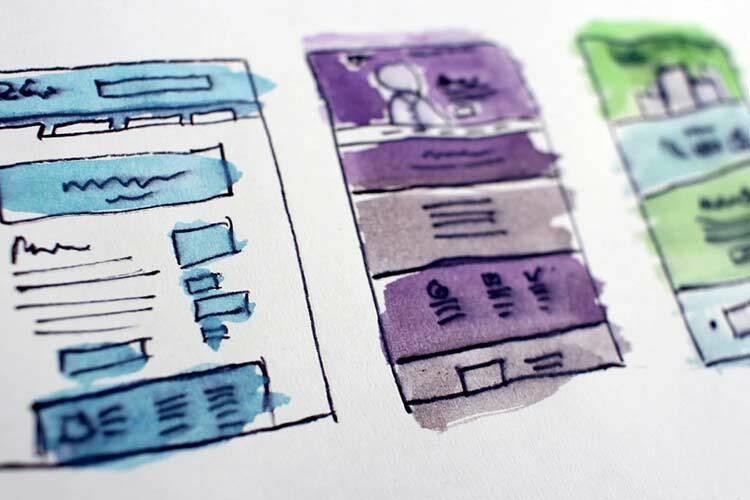 Then, they created and tested an interactive prototype with over 100 wireframes to ensure that the app design meets the needs of the client’s business. The mobile app contains hundreds of restaurants all over Ukraine, so the developers put flexible filters and smart searches to enable users to find what they want in restaurants. Ordering food is done in 5 easy, uncomplicated steps. Great app design inspiration. To make it much easier to order food, users are guided into 5 easy steps which include: searching restaurants around the city, checking their menu, looking more specifically into the dishes before placing the order, confirming their order and proceeding with payment and delivery options. The app also has a reward point, very good UI. Well done. With these steps, the users are saved the hassle of worrying what type of dish they ordered and the ingredients that go into each dish. This is especially helpful for those who have some specific dietary requirements. The Workout Book was designed by Yalantis Mobile and Vitaly Rubstov out of their desire to find a workout app with no frills. Unlike other workout apps, the Workout Book easily records your workouts and lets you see all the necessary information at a glance right on the home screen. Create your own workout with just a flick of your fingers and press save. Customize, set the day, and the targeted area you want to work on. Each workout has a color tag so you can easily look over them and monitor what you have missed. After you have finished your workout, just do a few taps and you will be able to see the summary of your workout including the weight you’ve carried and the reps you’ve done for each targeted area. Plot the type of workout you will focus on for the day or for the week. What makes the Workout Book’s UI stand out is its use of common mobile patterns making even first-time users feel at home. Despite the commonness, the designers translated their own creativity into the app matching users’ expectations. Review your workout between rests. That’s how simple, good app UI design should look like. Whether it’s soccer, basketball, hockey, or American football, you can be sure to find fans – from kids to adults – engaging in fantasy leagues and creating their own dream teams. In fact, fantasy leagues have generated billions of revenue all over the world. The rules are pretty simple, and all you have to do is an app which allows you to navigate and monitor your score and stats easily. The Fantasy Leagues app shows a promising future in the world of sports app because of its simple and easy to understand interface. Swipe between pages to build a team, adjust your line-up, and view game stats. The app has news feeds for both teams and specific players. The information on each page is short but concise, providing you with the latest news and updates. There’s also a trash talk feature which works like a Facebook status. Write what you think or feel about a certain player and post it for others to see. Change is a simple app designed by Linus Lang with an ambitious mission – to help bring change in your community, specifically the people who live in it. To me it looks like one of the best designed apps from the collection. Read on. It tells you the exact location and distance of a person who needed help from your location. The choices are simple and easy – a pop-up will appear and you can choose to view or cancel. If you choose “View,” you will be directed a more detailed profile of that person. If you want to help, you can click “Donate” and type the amount you want to give. Then you can share it on your Facebook profile to inform and encourage your friends to help as well. You can also track how many people you’ve helped, the amount you’ve given, and the money available in your virtual wallet which you can give as donations. The Public Transportation iPhone user interface app is designed by Docagan Ese Altunsu to specifically help tourists and citizens of Izmir to easily navigate the public transportation of the city. It shows the shortest route where you want to go in Izmir as well as the approximate arrival time of a public transport – bus, ferry, or metro – near your area. Type of transport is color coded so that you easily know where to look for. Designed by DHHN Creative Agency, this is a social loyalty mobile app design which allows you to accumulate points every time you shop and dine at participating stores and restaurants. 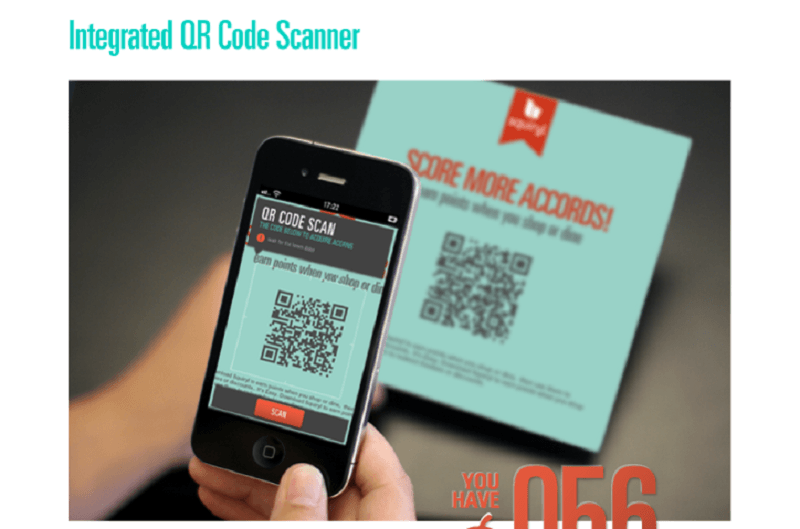 With this app, you can redeem vouchers and freebies as well as swap them with your friends. It is a good tool for businesses that wants to connect more with their customers to establish loyalty. 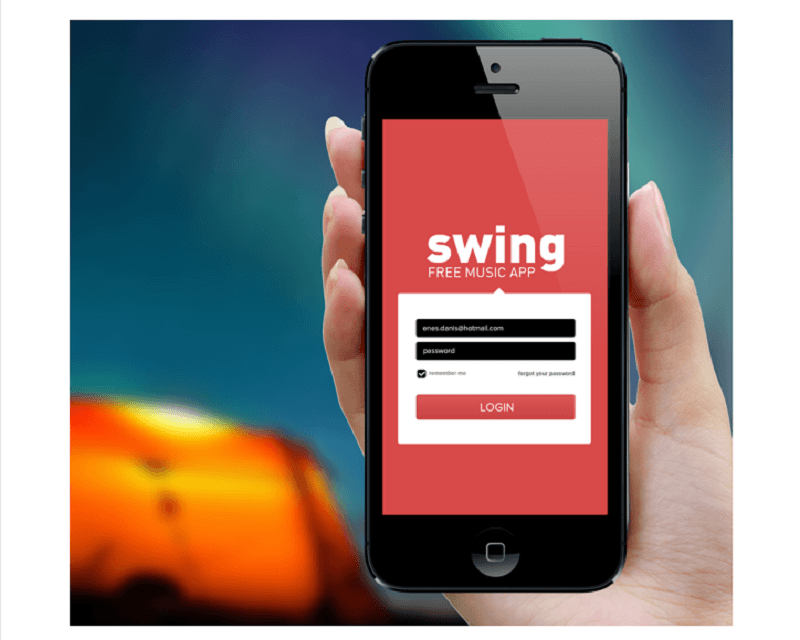 Swing is an iPhone music app designed by Enis Danis with a simple and easy to use interface with only four, big navigation keys – News, Listen, Artist, Video. The “News” section has bigger windows than the “Listen” category. The news is displayed with their headlines and arranged according to their dates. If you want to listen to music, your playlist appears and you can scroll down to search for more songs. Then, start listening by tapping the “Play” icon. Your “videos,” on the other hand, will display on a full screen. Lift is a self-improvement and coaching app of Lift.do, now Coach.me. Designed by Leigh Taylor, it is geared especially for people who are goal-driven or for anyone who wants to be more productive. The app’s main page has an indicator to show how much of your goals for the day have been achieved. As you tick each finished task, the indicator shows it until you achieve Inbox Zero – goals accomplished. Aside from that, you can also check what your friends are doing and be encouraged if they are doing well, or you can encourage them if they need it. You can also get tips how to achieve your goals. The app also flashes some encouragement to lift your spirits in order to keep going. The Weather Tile is an iOS app which got its inspiration from Windows 8 apps so when you glance for the first time, you might think it is a Windows phone. Navigating the app is simple and interesting because of its pastel colors. See, we saved the best for last, hope you will find fresh inspiration to design your own mobile app after going through this article! The weather app got its inspiration from Windows. On the main page, you can find your current location and the weather as well as the key cities in the country making it easier to navigate between locations. 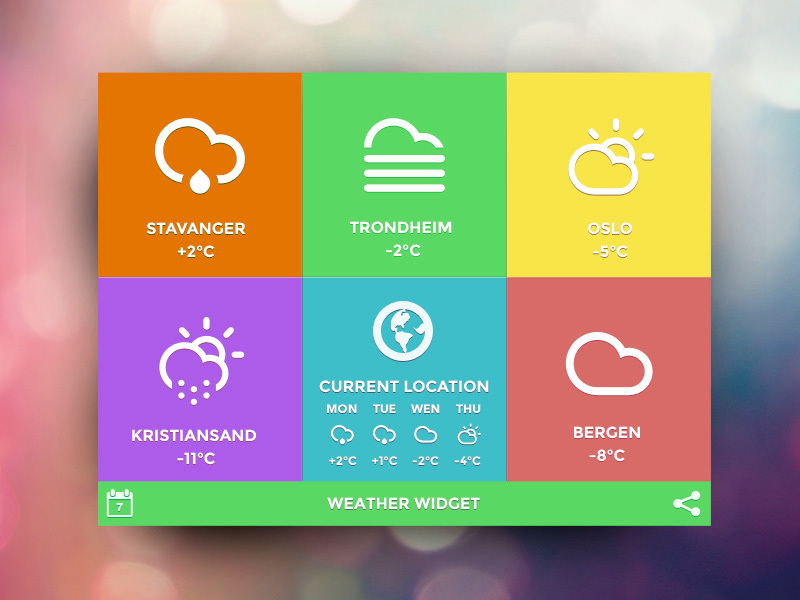 If you click a tile, you will get an overview of the weather for the whole week. You can favorite the location so it appears on your main screen. The icons automatically change as the weather in that location changes. You can also share it immediately on your Facebook and Twitter accounts.